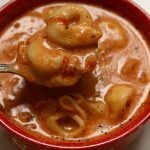 Instant Pot Tomato Basil Parmesan Tortellini Soup is a creamy tomato basil soup with cheese tortellini that is made quickly in your electric pressure cooker. I’ve taken two of my favorite soup recipes (tomato basil parmesan and creamy tortellini soup) and combined them into one delicious soup! The cool thing about this soup is that it is so easy to make! 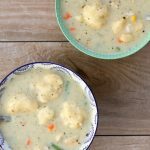 Even if you’re a beginner at the Instant Pot you can make this soup. Watch the video below to see exactly how. To make Instant Pot Tomato Basil Parmesan Tortellini Soup I used my 6 quart Instant Pot Duo 60 7 in 1*. I love this Instant Pot because it has the yogurt making function which I use almost weekly. It has two pressure settings (high and low), and there are also little slots in the handles so that you can rest the lid there instead of putting it down on your counter-top. 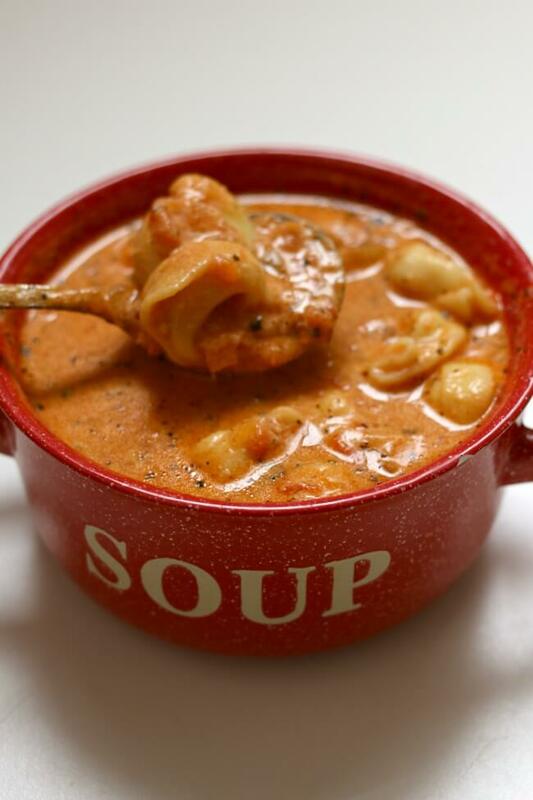 A creamy tomato basil soup with cheese tortellini that is made quickly in your electric pressure cooker. Turn your Instant Pot to the saute setting. When the display says HOT add in the oil. Swirl the oil around. Add in the onion and saute for 3 minutes. Add in the carrots and celery and saute for 1 minute. Add in the broth, tomatoes, basil, oregano, bay leaf, salt, pepper and garlic powder. Cover and secure the lid. Make sure valve is set to sealing. Set the manual/pressure cook button to 5 minutes. Once the time is up let the pot sit there for an additional 5 minutes (display will say L0:05) then move the valve to venting. Remove the lid. Turn the pot back to the saute setting. Pour in the frozen tortellini. They will cook in about 2-4 minutes. Warm up the dairy in the microwave for about 90 seconds. Then stir a ladleful of soup into the dairy. This will prevent curdling. Then stir the dairy/soup mixture into the Instant Pot. Stir until it is incorporated. Then sprinkle in the parmesan cheese and stir. 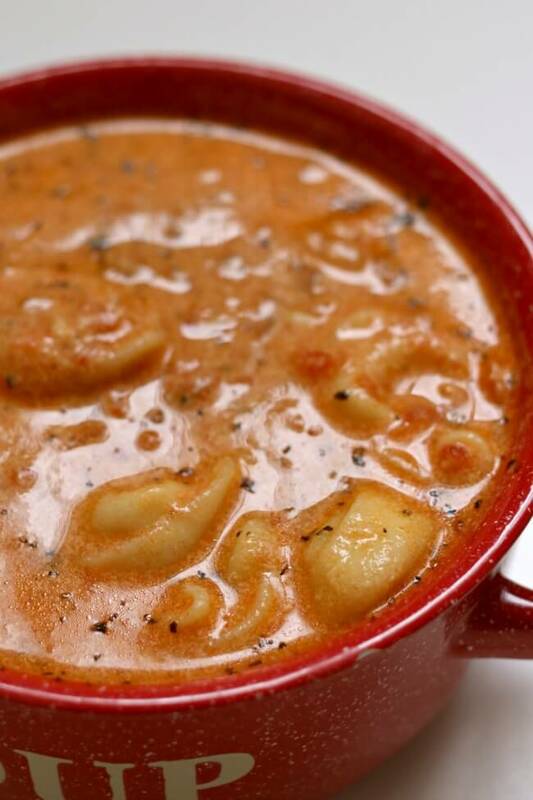 Like this recipe for Instant Pot Tomato Basil Parmesan Tortellini Soup? Get all my new recipes delivered to your email inbox by signing up below. This was delicious. Added a cheese rind so was able to reduce the parmesan cheese to about 1/2 cup. Added an Italian sausage link first and cooked for few minutes, then added the onions and cooked 3 minutes, and then added the rest of the ingredients. Once everything was cooked, added a few handfuls of fresh spinach. This was so savory good!! 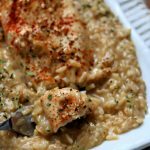 I used fat free evap milk and had to leave out parm (per hubby) and it was still awesome!! I sprinkled onnmy own parm. 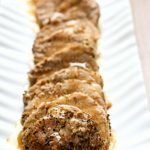 You site has wonderful recipes. 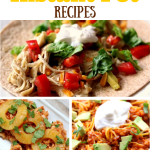 I’m learning how to use my IP w great recipes. Made as directed and was delicious will definitely make again. Daughter liked it and took to work. On my keep list for sure. So glad you liked it Frances! The soup was easy to make, and cleanup (always important to me) was easy. The taste was good and satisfying. 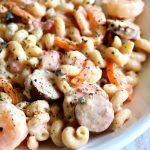 I will make this again, but next time I might consider adding some spicy sausage, for a little more zing. 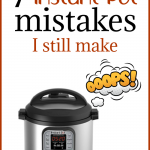 I use the Instant Pot mini for camping trips. As it gets cooler outside, sopu is a great meal choice. This soup seems very hearty and I would like to try it on my next trip. Can it be halved to fit in the mini pot?